Examine on NPC's was fixed. Dds special attack no longer uses 30%. Teleblock time length was fixed for PVP. Shops will now tell you when you do not have enough currency to buy an item. You can now receive more than 200 stardust at a time, first miner experience bonus is now given immediately. Client memory usage will be heavily reduced next client update. (Previous client == left || New client == right). Ice barrage animation was fixed. Iron man crowns were added. Fixed viewing angle issue with certain object types (wrong setting). Fixed lava textures in wilderness. Fixed null objects that were causing people to DC. Fixed npc right click options (oops). Splash screen was added to the client while loading client assets. Massive improvements were made to our File-net/cache downloading system of the server. Spawns were added at Draynor & Ardougne. Reworked agility course completion checking to evaluate in scope per player not a global scope (Everyone receives rewards now). Disabled the use of familiars inside the duel arena. Fixed a mistake in logic preventing users from receiving items post duel. Fixed a visual bug causing spoils not appearing on the duel victory interface. Backend was optimized to allow us to easily add/modify existing shops. Shop prices will no longer decrease based on the amount of items that are sold to the general store. (So, skilling will be much more profitable). Fixed alchemy not correctly returning to the spell book. Fixed a regression which caused mining rocks and other objects to disappear when they were de-spawned. Redirected portal inside Clan Wars safe area to teleport the player to their respective home location instead of in the middle of wild. Added success rolling for shooting stars based on difficulty. Added support for first-miner bonus on shooting stars. Added support for receiving stardust per successful mine on shooting stars. The amount of stardust obtainable per player capped at 200. Ensure player's action is reset if the shooting star disappears before finished. Added prospecting support for shooting stars. It will display the current stage of the star, level required to mine and percent to next layer. Added stat requirements to agile equipment. Several memory improvements were made. Several issues in maps/roofs/etc... were all fixed/optimized. IdentityKit System was improved (fixes pink hair -> adds support for more colors). Fixed an issue where performance would degrade over time causing consistent fps dips. After the initial download, only individual files that are updated, will be downloaded when we do a client/cache update. Fixed projectiles from crashing the client. We are aware of other existing bugs, please refrain from asking numerous times > these will all get ironed out soon! We actively follow and keep up with reports made within our ticket system + discord channel #bugs. So no.. we did not miss anything, it may have not been finished this update! Fixed a visual glitch which allowed you to have the same item in different bank tabs. PKP shop's prices were tweaked (nerfed slightly). Prevention was added for chinchompas from getting dropped or being collected by ava's. Mage bank lever will no longer glitch into the wall. Added the Castle Wars stepping stones obstacle functionality. It also scales with NPC's now for an additional 110% of your max hit. Fixed a dungeoneering item smuggle issue. Added Slayer dungeon agility shortcut functionality (level requirements is 81). Flowers from mithril seeds appear globally and stay visible for 30 seconds. Fixed part of wilderness not being counted as a wilderness area. Attacking from under a player was fixed. Diagonal combat issues were fixed. Not being able to follow a player from a couple of squares away was fixed. Attacking with range/magic now works as soon as the distance limits are reached. Vote tickets will now go to player's banks by default. Items won from a duel fight will now be added to the bank if there is no room in the player's inventory. Added support for extreme potion creating and other missing potion definitions for Herblore. Added support to grind whitelisted items for herblore use. Fixed lap completion rewards on all agility courses. Proper 32K+ object interaction support was added to the client. Mystery boxes will no longer delete items when your inventory is full, they will be dropped below you. Farming bushes are now fixed. Members world is coming back online. 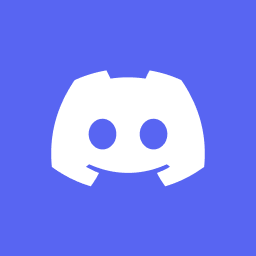 As always, make sure to report any bugs via the discord/website so that we can get them fixed up in a reasonable amount of time! Again... as I said, another patch. Getting closer and closer to squashing all of these issues. New content soon™! As I said yesterday, another patch today. We are working as fast as we can to get these bugs squashed. We can't wait to move on to content. Expect another patch soon! 'Pound' fight style now gives strength exp instead of attack exp. Fixed a bug causing players to not receive their staked items upon disconnecting during duel confirmation.